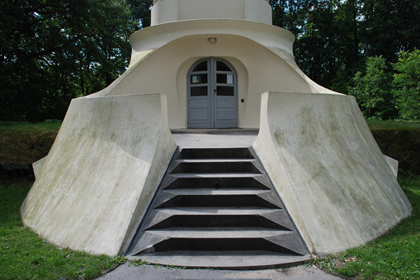 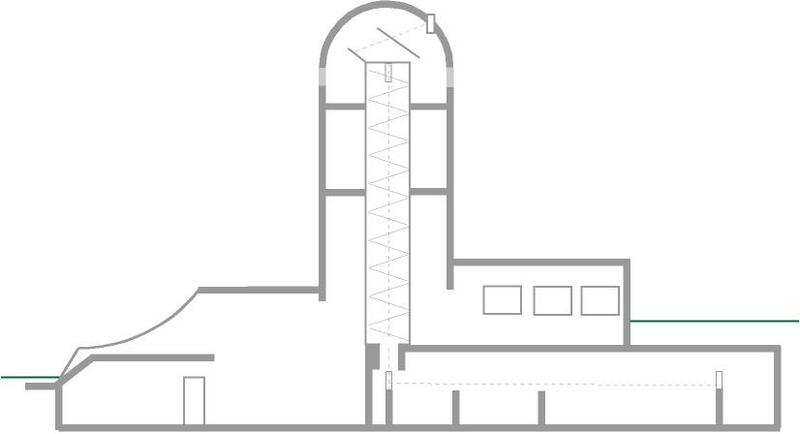 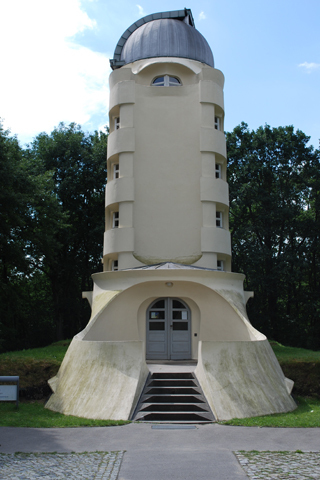 "The Einstein Tower displayed a certain formal affinity (…) to the extreme organic wing of Dutch Expressionism." 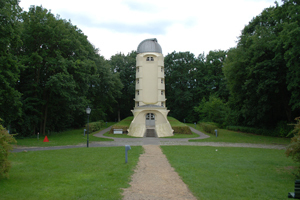 "“The Einstein Tower was to combine a telescope with an astrophysical laboratory for the exploration of spectroanalytic phenomena. 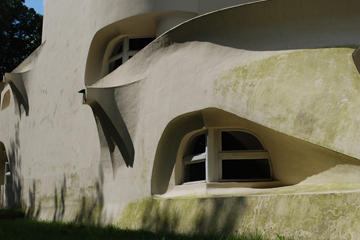 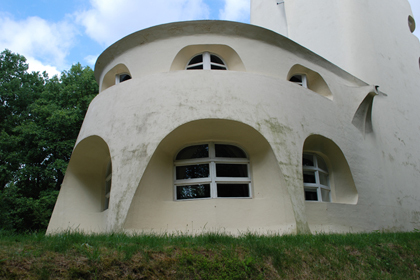 The surface of the building were modelled as a free-form sculpture, windows and other openings being made so as to accentuate the overall dynamism. 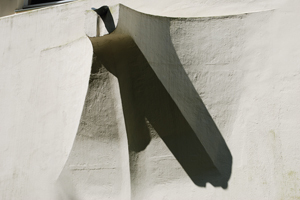 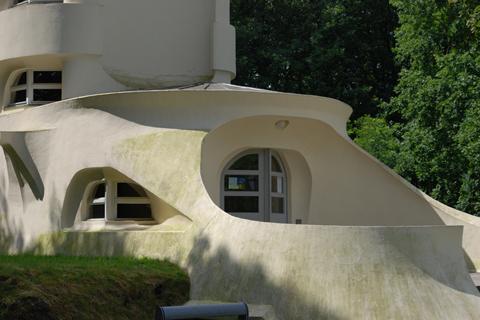 In fact the material was not all the single ‘plastic’ sculptural one it appeared, but brick cosmetically coated in plaster and cement. 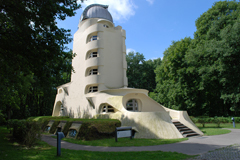 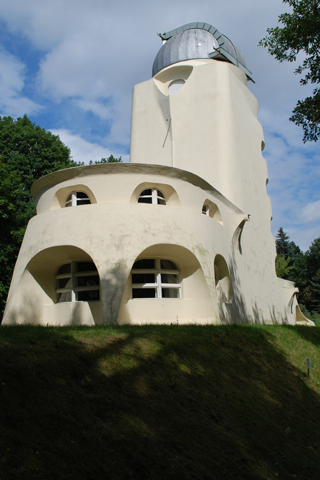 Evidently the idea of the tower was related to Einsten themes of matter and energy.”"
"Expressionist buildings, like Mendelsohn’s Einstein Tower, is mechanically streamlined, but Gaudi’s forms, like the best of Art Nouveau as a whole, are infused with the action of nature and are therefore somehow real."